Kavya’s responsibility involves identifying patterns and establishing relationships among client-data sets using SynerScope’s platform to enable the clients gain insights. 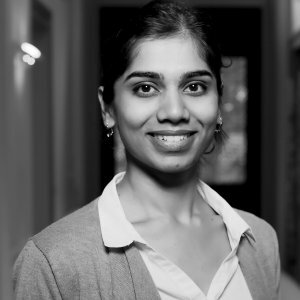 With three years of prior experience in SAP Labs India as a cloud operations engineer, Kavya is currently pursuing MSc in Business Information Systems from Eindhoven University of Technology. With her Master’s degree providing training for both computer scientists and technical business managers, she developed an interest towards Data Analysis. She finds SynerScope to be the perfect place to expand her skills and exercise her expertise.